Hello Royals, this is a mini guide to the biography quests. If you are looking for the actual biography quests themselves then look to the menu bar on my fansite. 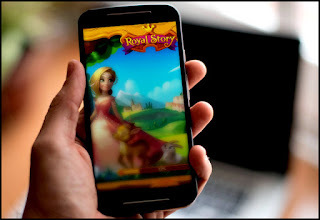 Royal Story first introduced biography quests to their game back on March 21, 2016. This is a weekly(Not all the time) feature that introduces Royal Story players on Facebook to new origin stories of all the characters. Whether it's Max as a young gnome, Merella as a baby, or even Altessa attending wizard school, their stories will come out in a new quest-line. The quests will at first cost 2 rubies to open them early. However, if you wait for the timer to countdown on the individual story, it will release for free for 3 days. If a player does not open up the quest during that period of 'free' time then it will go back to the 2 ruby price. 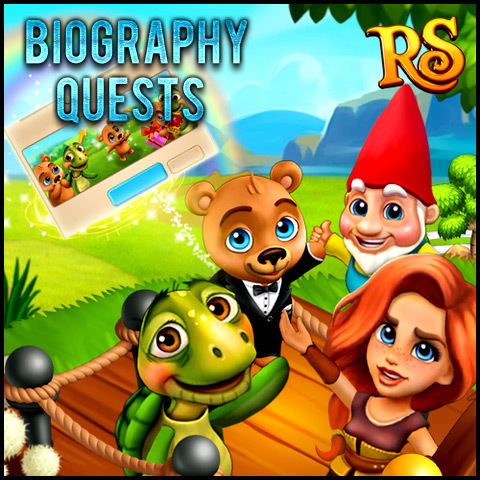 Each biography quest shows an example picture of what can be rewarded should a player complete the quest in time. However, the reward pictured isn't guaranteed. The idea is that a player continues reopening the quests until they achieve the desired reward. 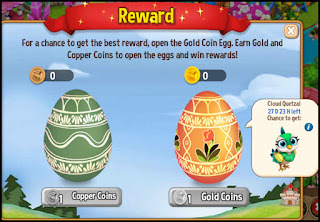 When a player completes various parts of the quest a Copper or Gold coin will be awarded. A player then goes goes to the reward section(on the main biography panel) and brings up the above picture. This is where the random rewards come in as 1 coin spent will give a player a chance at the main prize. There is now also a chance to win a new reward(shown on the right of the gold egg). The prize shown on that part will change as the timer ticks down.